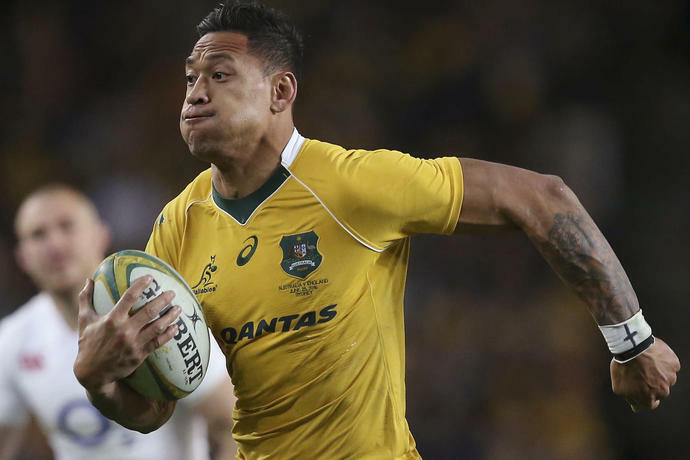 SYDNEY (AP) - Coach Michael Cheika said on Monday he would not have been able to select fullback Israel Folau for the Wallabies after his latest "disrespectful" social media posts attacking gay people. "I think we all know what he has said isn't right," Hansen said. "There's no point me adding my name to the end of that list and it's been dealt with pretty strongly by his employers. "He's got the right to have an opinion, but I think he's probably let himself down in the way he's gone about that. Even this morning I read he firmly believes it, so he's just missing one piece of the jigsaw puzzle I think." Hansen was referring to an interview Folau gave to the Sydney Morning Herald on Sunday in which he said it would be "God's will" if he didn't play rugby again. 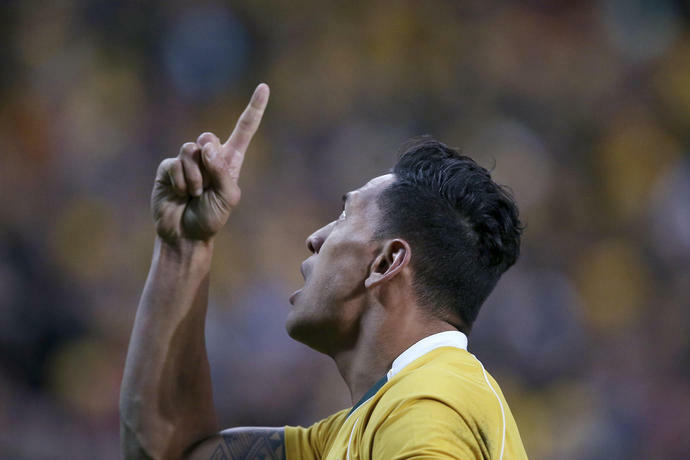 The Sydney Morning Herald interviewed Folau after he had attended a church service in western Sydney on Sunday at which speakers praised his comments and said he was being persecuted for his faith. Major League Baseball is investigating racist social media posts aimed at Chicago Cubs relief pitcher Carl Edwards, a league spokesman told The Athletic. Edwards received racist messages on Instagram, according to the report, drawing the attention of the league as well as the players' union.